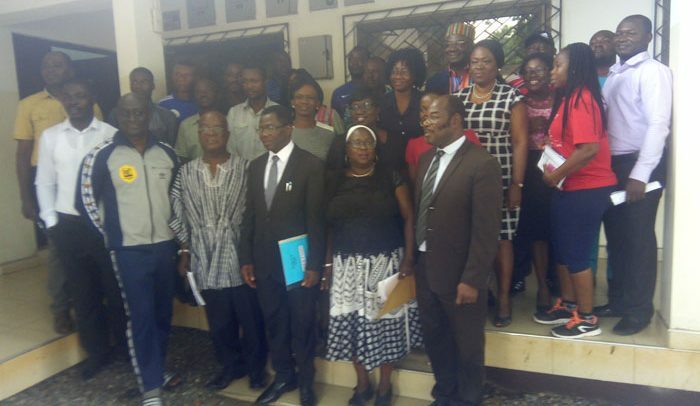 The third edition of the Physical Activity and Sport for Health Development in Africa (PASHDA) conference has been launched at the University of Ghana (UG), Legon, Accra. Scheduled from September 19 to 21, the event is aimed at improving physical activities among the youth in Ghana and beyond. Preceding the event is a workshop on September 18 in areas including, Right to Play (using physical activities to solve academic problems or to learn), teaching visually impaired persons by using physical activities, lessons for keep fit instructors and sports management. He encouraged persons within the academia to participate in the conference in order to impact on their students to achieve academic success across Africa. Head of the Sports Directorate, University of Ghana and chairman of the LOC, Dr. Bella Bello Bitugu and Dr Owusu Ansah of the Youth and Sports Ministry graced the event. The conference themed “Inclusive and Innovative Physical Activity, Sports and Health Education for Sustainable Development in Africa,”is in collaboration with the African Physical Activity Network (AFPAN) which sought to promote physical activity and sport for development in all African nations.